Joint Replacement Archives - Page 2 of 4 - Dr. Jeff Stickney, M.D. Traditionally, patients and doctors have opted for in-patient rehabilitation after total hip or total knee replacement surgery, despite the high costs. However, recent studies found that after joint replacement surgery, patients who live alone are happier and fare just as well, and possibly better, when recovering at home rather than staying at a rehab facility. The study, published by the American Academy of Orthopaedic Surgeons, examined 769 patients who had undergone primary total hip replacement (THR) or total knee replacement (TKR). About 18% lived alone, all of whom were discharged home for outpatient rehab. Of these, almost 80% had friends or family nearby that could help provide support if necessary. Overall, there was no significant difference in complications, pain, functional outcomes, or patient satisfaction scores between people who lived alone and those who lived with others after the surgery. However, when recovering at home instead of spending an extra night at a hospital, patients saved an average of $10,776, amounting to almost $1.5 million total. Patients recovering at home were also found to avoid other complications — such as infections and blood clots — that they might experience in a rehab facility. Recent Australian research corroborated these results. To test whether a rehab facility offered more benefits than a home-based program, the research team randomly selected 81 knee replacement patients who received both inpatient rehabilitation and home-based care, and 84 who only received home-based care. There were no differences in pain, function, or quality of life six months after surgery between the groups. These studies conclude that given the emotional benefits, the lack of complications, and the cost savings, outpatient recovery can be a beneficial option for total joint replacement patients who live alone. Struggling with joint pain? Interested in learning more about your post-surgical options? 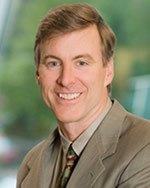 Dr. Stickney, a Kirkland orthopedic surgeon, specializes in procedures including total knee replacement. Contact his office today. Infection after joint replacement surgery is a terrible complication that often results in subsequent surgeries with extended morbidity and rehabilitation. The possibility of infection after joint replacement depends to some degree on the patient’s immune capabilities, with the incidence ranging from 1.5 to-6% over a lifetime. One of the leading pre-operative risk factors in orthopedic patients is the presence of Staphylococcus aureus (S. aureus), or staph, on the skin or nasal cavity. Most postoperative infections after joint replacement are the result of bacteria from the patient’s skin falling into the wound during surgery. In most cases, the immune system is able to eliminate those bacteria, but staph carriers are two to ten times more likely to face infection. Pre-operative skin washing at home, skin scrubbing in the operating room, and intraoperative surgical irrigation and antibiotics help minimize this risk. Patients with staph chronically growing on their skin are at higher risk due to the aggressive nature of this bacteria and the heightened risk of wound infection. On average, 18-25% of patients will have staph on their skin chronically, and of this group, approximately 11% have a strain resistant to antibiotics. A recent study done at NYU Langone Medical Center analyzed 13,828 orthopedic patients between 2009 and 2016. In this study, patients were tested preoperatively for the presence of S. aureus, with 18% testing positive for colonization. The researchers also found that 4.35% of the colonized patients developed surgical site infections (SSIs) after surgery while only 2.39% of non-colonized patient’s developed SSIs postoperatively. Specifically, patients who had undergone total knee replacement surgeries were 380% more likely to develop a postoperative infection if the patient was colonized with S. aureus prior to the procedure. This information points to the importance of understanding who is at higher risk of a post-operative infection. Developing methods to minimize this prior to surgery also helps combat readmission, revision surgery, longer hospital stays, and increased medical bills. Questions about joint replacement surgery? Concerned about your orthopedic health or interested in taking steps to protect it in the future? Dr. Stickney is a Kirkland orthopedic surgeon who can help find the best surgical and nonsurgical options for you. Contact his office for an appointment today. Does Timing for Total Joint Surgery Matter? While choosing whether or not to get total joint arthroplasty (TJA) can be a difficult and daunting decision, new research shows that delaying it may have a negative impact on postoperative outcomes. Carlos J. Lavernia, MD, who helmed a study evaluating pre- and postoperative functioning, presented his findings at the American Association of Hip and Knee Surgeons’ (AAHKS) annual meeting. Previously, Dr. Lavernia had studied TJA patients and found those with lower preoperative functioning had worse short-term self-reported outcomes after surgery than their higher preoperative functioning peers. Interested in examining the long-term impacts, Dr. Lavernia and his team looked at 105 patients from the original group and split them into those who were severely functionally impaired versus those who were functionally impaired. The demographics for both groups were very similar, though the first was 40% female and the latter was 73.8% female. The patients had an average age of 65 years and 54 had total hip arthroplasties while 51 had total knee arthroplasties. The mean follow-up period for all patients was 11.2 years, 13 had revision surgery, and 43 passed away. However, there did not seem to be significant differences in revision or mortality statistics between the severely functionally impaired and functionally impaired groups. The research team calculated scores using the Western Ontario and McMaster Osteoarthritis Index, Short Form 36, and the Quality of Well Being Scale both pre- and post-operation. They found that while all scores improved after surgery, those who had lower preoperative scores continued to have worse outcomes after the arthroplasty. “We found that those who allowed their function to deteriorate significantly before undergoing TJA did not fully ‘catch up’ to patients who underwent surgery at an earlier disease stage,” Dr. Lavernia said. This research emphasizes the importance of undergoing TJA earlier rather than later and treating the disease as early in its course as possible. Consulting an orthopedic surgeon can help you determine if surgery may be the appropriate intervention. Concerned about joint pain? Wondering if orthopedic surgery is the right choice for you? Dr. Stickney is a Kirkland orthopedic surgeon who can help you return to an active, healthy lifestyle. Contact his office today at 425.823.4000 to learn about the surgical and nonsurgical options best for you. When your dentist reminds you to floss, they may be improving your orthopedic well being, along with your oral health. New research published in Science Translational Medicine discovered that the bacteria behind gum disease could also be the catalyst behind rheumatoid arthritis (RA). Although about 1.3 to 1.5 million Americans suffer from RA, an autoimmune condition which causes inflammation, swelling, pain, and stiffness in the joints and can necessitate joint replacement surgery, the root cause is unknown. The relationship between gum disease and RA has been explored in the past. In 2008, a German study that appeared in the Journal of Periodontology found that people with RA are eight times more likely to develop gum disease than people without RA. In 2012, researchers discovered a correlation between tooth loss and joint inflammation — the greater the tooth loss, the greater the joint inflammation. Various other studies looked at different types of bacteria, such as that responsible for periodontal disease, to try and find a connection, though this research probes further at what specific strain of bacteria could link the two issues. An international group of researchers collected blood samples from 100 people with gum disease and 100 people with healthy gums to study the bacteria at play. They also gathered blood and joint fluid samples from over 200 people who met RA’s disease criteria, and fluid from between the gum and teeth from nine people with periodontitis and eight people without. By testing and comparing the samples, the researchers noted that those with gum disease had higher levels of citrullinated proteins in their gum fluid than normal. While citrullination is a natural protein regulatory process, the scientists discovered that a strain of bacteria called Aggregatibacter actinomycetemcomitans was responsible as it produces a toxin that splits open certain cells, releasing citrullinated proteins. The immune system in patients with RA reacts to this by creating antibodies specifically designed to combat the toxin, suggesting that the bacteria could trigger the autoimmunity of RA. While more research is needed to find a definitive correlation, researchers from Case Western University noticed that patients with RA saw a decrease in pain and other arthritis symptoms when they treated their gum disease. This still doesn’t provide an exact answer of what can cause RA, nor does it prove gum disease is the main culprit since the presence of one doesn’t necessarily guarantee the other. As the disease’s onset can take decades, it’s possible there are other inflammatory processes at play and poor brushing habits can’t be blamed entirely. However, these findings provide new understanding of how the disease works and interacts with other bodily systems. If you’re suffering from joint paint, contact Dr. Stickney, a Kirkland orthopedic surgeon who specializes in procedures including total knee replacement and knee arthroscopy surgeries.